Bishop Rayappu Joseph and two priests from his diocese submit a report to the Lessons Learnt and Reconciliation Commission (LLRC), calling for complete transparency on what happened between 2002 and 2009 as a step towards finding an effective and lasting solution to the ethnic conflict. 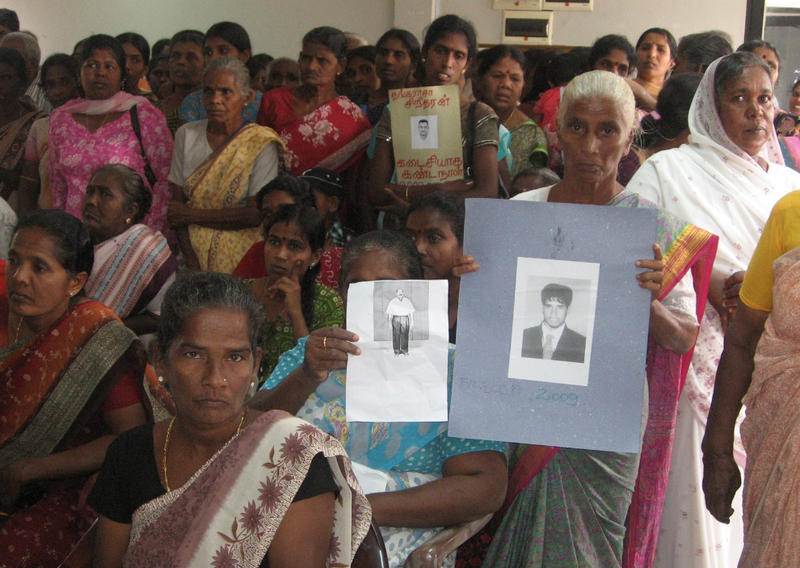 Colombo (AsiaNews) – The report that Mgr Rayappu Joseph, bishop of Mannar, Fr Victor Sosai, vicar general, and Fr Xavier Croos submitted last Saturday to the Lessons Learnt and Reconciliation Commission (LLRC) begins by recognising “the importance of learning lessons from our history in order to move forward as well as prevent further conflict and violence”. In their submission, the representatives of the diocese speak on behalf of the Tamil community of Mannar, one of the most affected by the war that ended in 2009. In their report to the LLRC, a commission set up by President Mahinda Rajapaksa to investigate events that occurred between 2002 and 2009, the three religious leaders said that the commission provided an opportunity for all Sri Lankans to take a step towards reconciliation. For genuine and lasting reconciliation, “it is crucial to address roots of the conflict and war, primarily issues affecting Tamils such as recognition of their political reality, language, land, education and political power sharing,” the report said. “We also believe that it is crucial for any serious effort towards reconciliation to go back into our history beyond February 2002, as roots of the conflict and reasons for the war that caused so much pain, destruction and polarization dates much further. In fact, the LTTE, other armed Tamil groups and the war are not the cause, but only results of the conflict. Although LTTE and other Tamil armed groups have caused much suffering, their actions were prompted by the failure of successive governments to respond favourably to Tamil’s efforts to resolve their problems through peaceful and political means. While acknowledging the part played by LTTE and other armed groups in the suffering of the people, we wish to point out that the state military and their secret agents are feared more by the people and are held responsible for much of their woes,” the clergymen said. The bishop reiterated that Tamils are part of Sri Lanka, even though they have their own distinct cultural, linguistic and religious identity. The government must acknowledge this reality, and recognise that the bases for power-sharing and minority rights must be enshrined in the constitution. The report ends by reiterating that reconciliation is possible if three key elements are met. First, there must be the acknowledgement of what actually occurred during the conflict, particularly in the closing stages of the war. Secondly, a political solution to the ethnic conflict must be obtained in a participatory manner and within a specified timeframe to ensure good governance and the rule of law. Thirdly, the immediate concerns of the people who were affected and suffered because of the war must be addressed.